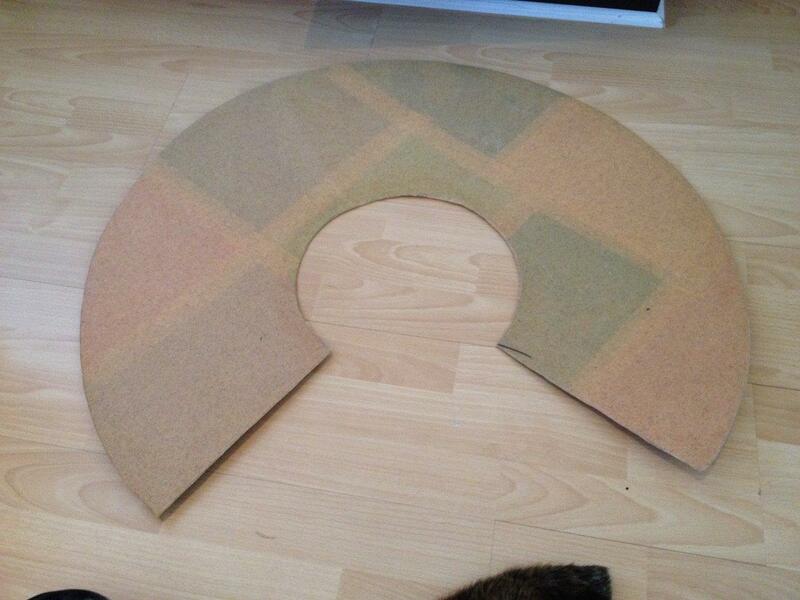 Working from their template, they covered craft foam with Worbla to create the base skirt. 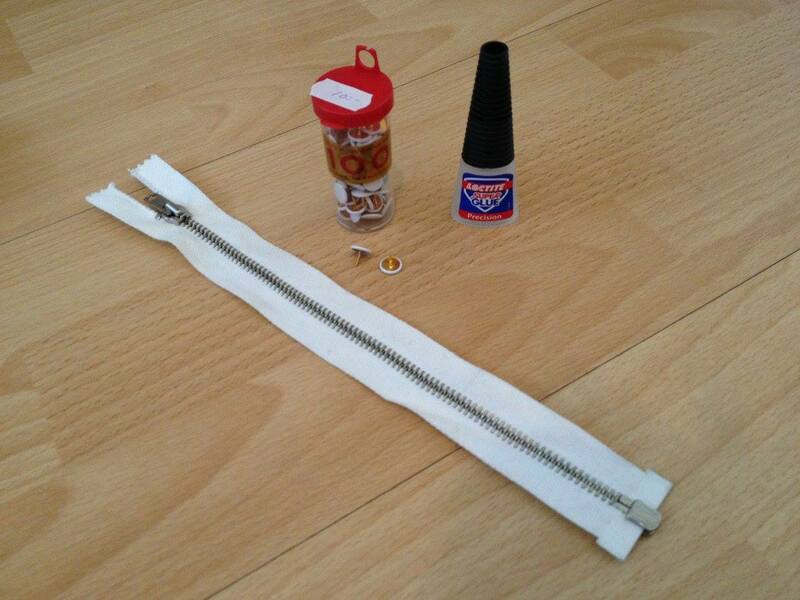 What you will need: A Zipper (we suggest heavy duty), thumbtacks, and glue. 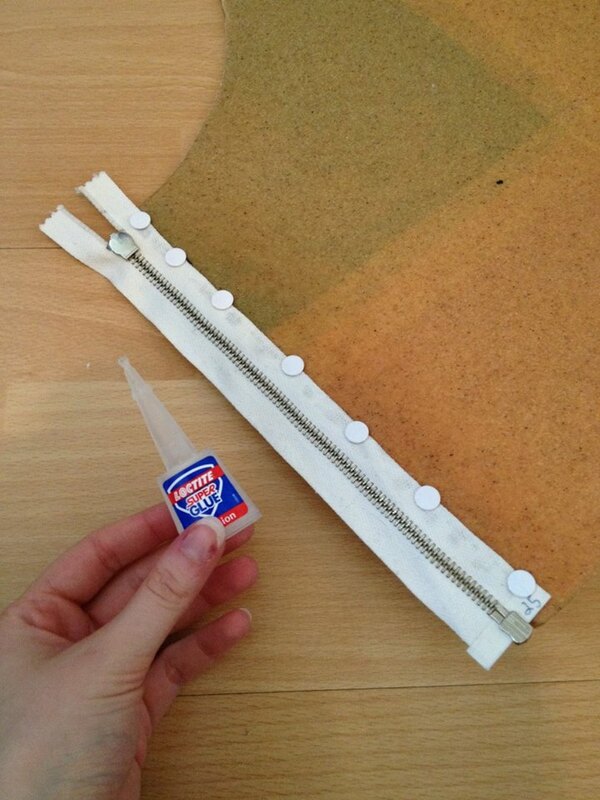 Glue your zipper down, then press the thumbtacks into both zipper and worbla to anchor it. 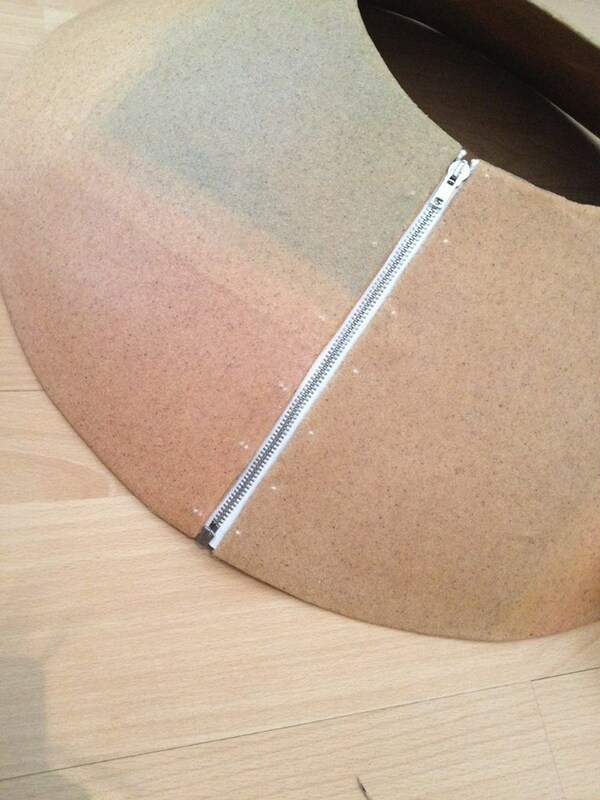 If the points come through the other side, cut them off with wire cutters. 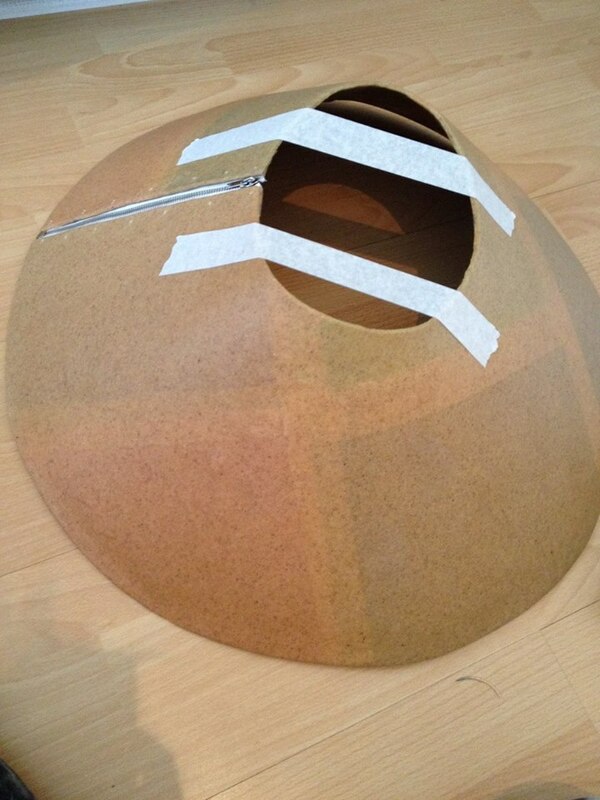 Heat up another strip of Worbla and cover the edge of the zipper and thumbtacks with it, pressing firmly. 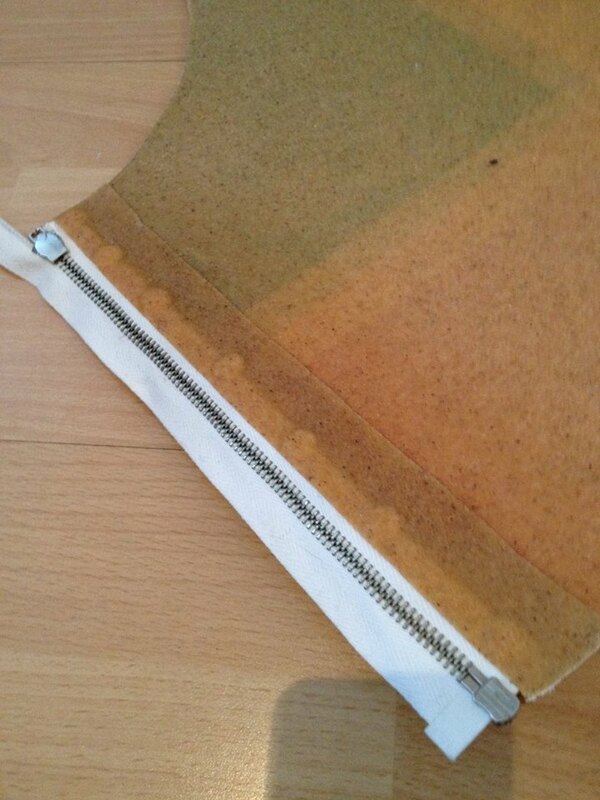 There you have your fully anchored zipper! 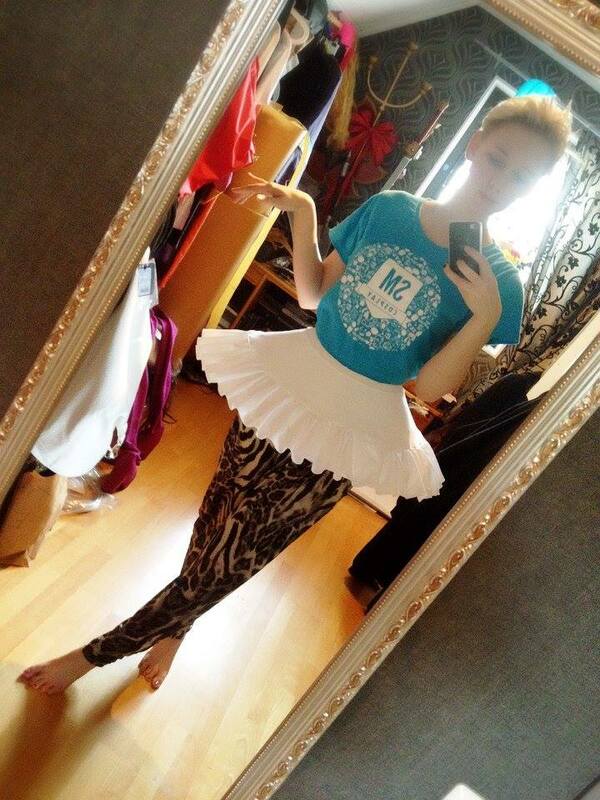 The final shape is absolutely fantastic, don’t you think?